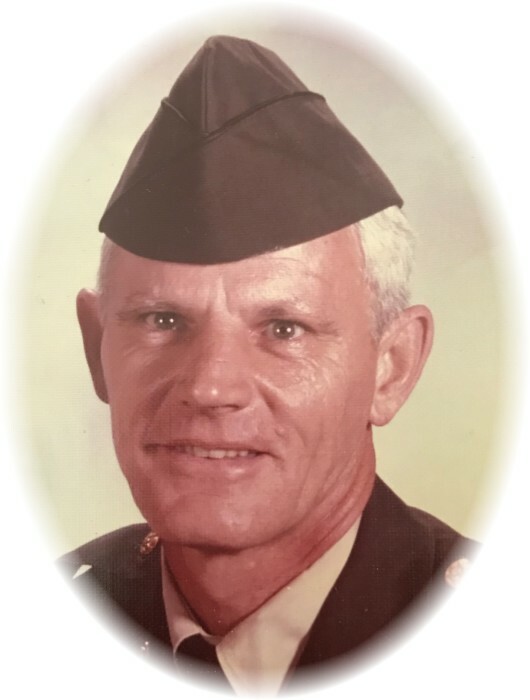 Sergeant First Class Franklin David McCoy, age 85 of Griffin, passed away Thursday, September 6, 2018 at his residence. SFC McCoy was born in Ceredo, West Virginia on July 21, 1933. He is preceded in death by his parents, David and Callie Pelphrey McCoy; wife, Janet Smith McCoy; daughter, Vicky McCoy. SFC McCoy was veteran of the United States Army, having served in the Korean and Vietnam Wars. He was a former Air Traffic Controller and Chief NCO at Ft. Rucker, Alabama, an ROTC Instructor at R.E. Lee Institute and Griffin High School. He was a member of St. John Lutheran Church. He is survived by his children, Phillip McCoy and Bonnie, Brian McCoy and Brenda, Tami Riggins and Mike Weaver, Christopher McCoy and Wendy; 15 grandchildren; 22 great-grandchildren; 4 great-great grandchildren. PO Box 758517, Topeka, Kansas 66675-8517 in honor of SFC McCoy.